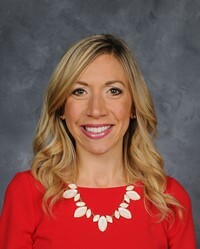 As the Curriculum Supervisor for the Chardon Local School District I feel priviledged to be a part of not only the daily learning and instruction that takes part on campus, but also the year round planning and preparation for curriculum, instruction, and assessment practices. The work we do at Chardon is successful becauase of collaboration, reflection, refinement, and high expectations that we all have a hand in developing. A supportive engagement and a team approach to student success is at the forefront of our curricular and learning work. Fractions, Animal Habitats, Multiplication and Division support plus a science lab for states of matter are all covered in this edition of the Intermediate Math and Science Connection. Check out this month's tips for reading success to support your young learner at both home and school.